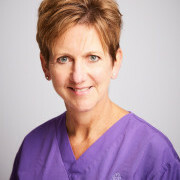 Carole is the Medical Director and Founder of the Agora Gynaecology & Fertility Centre in Brighton which was established in 2006 and is now one of the leading fertility centres in the South East of England treating both NHS and Private Patients. She graduated in Medicine from Cambridge in 1984 and during her training in Obstetrics and Gynaecology held a Medical Research Council Training Fellowship in Reproductive Medicine during which she completed a PhD in The Genetics of Polycystic Ovary Syndrome. She is a Fellow of the Royal College of Obstetricians and Gynaecologists (FRCOG) and a specialist in Reproductive Medicine. As Director of the Chelsea & Westminster Assisted Conception Unit, she developed the UK’s first fertility programme for HIV infected patients and remains a national and international expert on the management of patients with viral illness who are trying to conceive safely. She is a member of the ESHRE task force for viral infection and assisted conception and Vice-President of CREAThE, the European collaborative group for the management of fertility in patients with HIV. She lectures both nationally and internationally on a wide range of fertility related topics and has published numerous peer review publications and chapters on the management of polycystic ovary syndrome (PCOS), male infertility, bleeding in early pregnancy and the fertility management of patients with viral illness. In 2015, at the Sussex Women in Business Awards, the Agora Clinic picked up two prestigious awards, the Overall Business of the Year as well as the Innovation Award in recognition of the clinic's considerable contribution to the community.